Ellen Pence, one of the most important pioneer for the women’s battered movement, began her activism in the 1960s with the antiwar, civil rights, feminist, and housing movements. By 1975, she became highly active in the battered women’s movement, and for the remainder of her life, that’s where she devoted her activism. 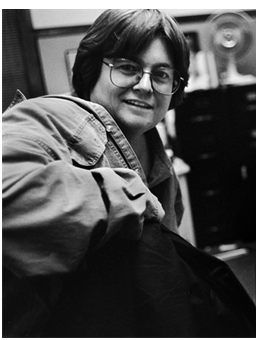 She began her work in her home state of Minnesota, where she worked as an advocate for battered women’s shelters. Through that work, she and a group of fellow activists organized the Domestic Abuse Intervention Project, commonly known as the “Duluth Model” (named after their location, Duluth, MN). Prior to the creation of the Duluth Model, “arrests for domestic assaults rarely took place, cases were unlikely to be prosecuted, and there were few consequences for violent offenders. While Pence supported the safety shelters provided, she knew they were just band aids”. Pence and her supporters faced many obstacles from institutional forces, because the issues at hand were so deeply embedded in the culture, and many believed there was not a lot one could change because domestic assault cases are “unlike other criminal behavior” and “they argued that the personal nature of an intimate relationship made it difficult to intervene, unless the injuries were egregious. They claimed that domestic assault victims were different—these women were uncooperative and they recant. These same detractors added that battered women frequently provoked their abusive partner in what they called “domestic disputes””. Pence did not allow the opposition to stop her cause. She visited countless women in hospitals and battered women’s shelters whose faces were split open from boyfriends, raped by husbands, and strangled into unconsciousness. She knew these women did not have to be subjected to this violence and fear, especially from loved ones, and she knew it could change with the intervention of the state and government. 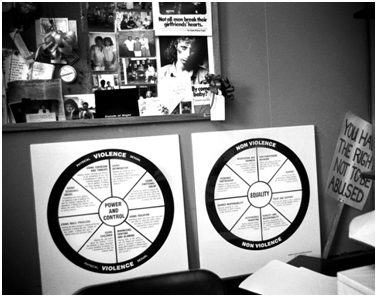 The Power and Control Wheel- now translated into over 40 languages, illustrates the dynamics of violence and abusive relationships, versus non-violence and equality. With everything set up by Pence and the other activists, there was finally a system in place in America to properly deal with domestic abuse, and “the most remarkable thing about the Duluth Model is that it works. It makes safety for women and their children, gives some men the incentive to change their behavior, and identifies others who pose a continuing threat to women, law enforcement, and the community.” Even though Pence believed that the criminal justice system was essential to holding the offenders of domestic violence accountable, she was also aware that there needed to be an institutional change dealing with “imprisonment that often disproportionately affected men of color”. In 2007, Pence and colleagues compiled a plan that was composed of 30 years of their research and work with battered women. The plan they came up with was the Blueprint of Safety, or as Pence called it “the Duluth Model on steroids”. The Blueprint of Safety was established based on six principles, and its aim was to protect a woman from the risk of death within domestic violence. In 1998, she also became the executive director of the Praxis International, an organization founded by Pence to eliminate violence against women. Pence worked up until her death. On January 6, 2012, Pence lost her battle with breast cancer and passed away, but she has left lasting models and a copious amount of work and knowledge that will continue to fight for her cause. 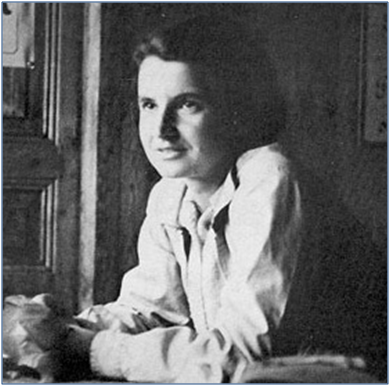 Rosalind Franklin was not only a pioneer for women in modern science, but she is also responsible for the research done that discovered the structure of deoxyribonucleic acid (DNA). Franklin attended one of the only girls’ schools in London that offered physics and chemistry. By 15, she knew she wanted to become a scientist. Franklin’s father disproved of university education for women, and wished for Franklin to pursue social work, therefore refusing to pay for her education if it meant her pursuing the sciences. With the support of her aunt and mother, she attended Newnham College and graduated in 1941. By 1945, at the age of 26, she earned her doctorate in physical chemistry from Cambridge University. Franklin became a research associate in physicist John Randall’s laboratory at King’s College, and was given the responsibility of a DNA project by Randall that she would lead. Many male colleagues mistook her position as just a technical assistant, and dismissed her contributions, mainly on the fact that she was a woman. Between 1951 and 1953, Franklin came very close to discovering the DNA structure, but the scientists Crick and Watson beat her to publication, and therefore are credited by most for the discovery of the DNA molecule structure. Many say that Franklin deserved more credit for her contributions, and that her being a woman in a male-dominated field and working in a hostile environment towards women, kept her from achieving the praise she was and is due for. In the summer of 1956, she became ill with ovarian cancer. She continued her work through three operations and experimental chemotherapy, and passed at the age of 37 from the cancer. September is Ovarian Cancer Awareness Month. Every year, 22,000 women are diagnosed with ovarian cancer, and nearly 70% of these women, including Rosalind Franklin, die within five years of their diagnoses. The Lowcountry Women with Wings (LWWW) program was established by Terry Scharstein, an ovarian cancer patient, in partnership with the Center for Women. LWWW provides education and support services to women diagnosed with ovarian cancer, their caregivers and families. LWWW is one of the charities participating in Second Sunday on King Street this Sunday, September 8. Come by for a teal wristband to help break the silence about Ovarian Cancer!